The Dragon Quest series is one of the oldest and most revered titles in gaming. Alongside Final Fantasy the Dragon Quest games defined the traditional Japanese RPGs as we know them today. 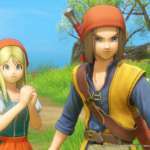 While the Final Fantasy series has branched off into games which share only a tenuous resemblance to their predecessors, the Dragon Quest series has remained true to its roots. 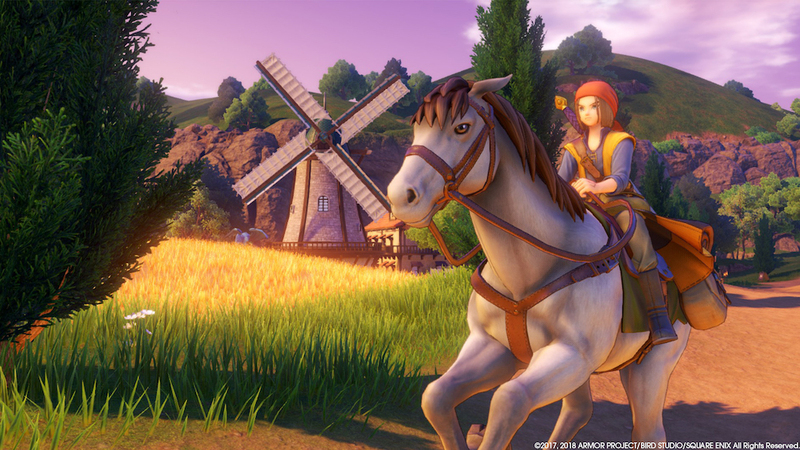 For JRPG fans who have been waiting for a game that mixes nostalgia and modern sensibilities, Dragon Quest XI Echoes of an Elusive Age will be a perfect addition to their collections. The first thing to know about Dragon Quest XI is that it is long, and it reveals its story and mechanics at its own pace. 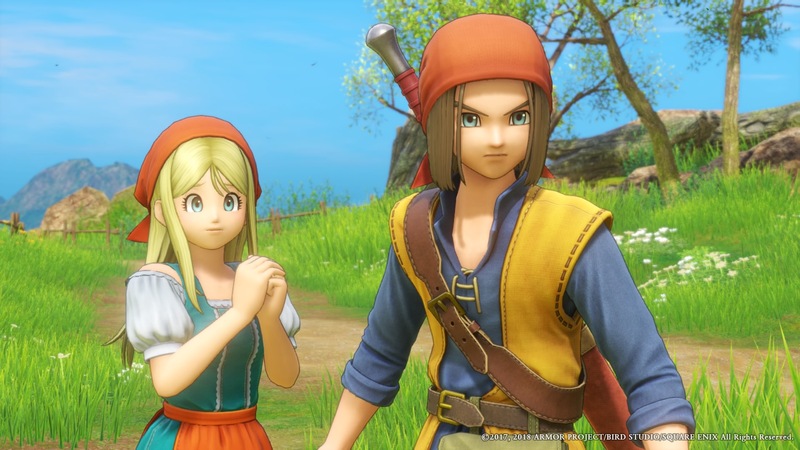 On the surface Dragon Quest XI is a simple game with a simple story, but as things progress layers are peeled back and new features are added. Main characters, for instance, often seem quite basic at first, with a few defining traits outside of their skills. As you adventure further into the game their personalities and abilities become clearer. Similarly the combat – which starts with the simple “Fight”, “Defend” and “Run” commands – quickly adds more complexity to keep it from being boring. The story of Dragon Quest XI is about as basic as fantasy storytelling gets. You are the hero of legend who is destined to fight evil. Little of this story will surprise you, and it follows the same beats that you have read in a thousand fantasy books. More than that, for most of the game the characters seem to be guileless and rather naïve. No one questions that you are the hero of legend, and the few times characters do try to deceive you it’s akin to a two-year-old trying to convince you they didn’t eat the last cookie. The general naïveté of the characters is actually rather endearing, and also misleading. Just when you think the game can’t surprise you, it does. And in some unexpectedly dark ways, at times. The art only enhances the apparently simple storytelling. Dragon Ball creator Akira Toriyama once again provides designs for the game, and they are exceptional. The art team went for fluidity and character over insane detail, and it pays off. Every monster you fight and every character you meet has some quirky animation. It is an example of a game that prized art direction over powerhouse graphics, and it pays off. If I had a complaint it is that occasionally characters can appear cross-eyed, which is more amusing than off-putting. Aside from the core story, there are two core weaknesses to the game. The first is that it is shockingly easy. Even a JRPG novice won’t really face any real challenge until near the end of the game so long as they don’t go out of their way to avoid fights. Boss fights do present a challenge, but true to traditional JRPGs most can be beaten simply by grinding out levels. That won’t work at the end of the game where strategy and proper resource management is critical, but it will for most of the game. You can artificially inflate the challenge with some optional modifiers you pick when you start the game, but a proper hard mode would do wonders for more veteran gamers. The second issue is the crafting system. In a game that is otherwise fairly static, the crafting offers a weird detour into random number generating. You hammer away at items (including cloth items, which is always amusing) in a mini-game where you try to get a bar between two points. The problem is that you lack fine control over the bar until late in the game. It is rare that you will outright fail at crafting so long as you use good sense but getting a coveted +3 variant of an item is mostly luck. There is so much to talk about in Dragon Quest XI Echoes of an Elusive Age that I could literally type up a review four times longer than what I have for you here. The story is lengthy, the map is huge and expansive, and there are so many things to explore. The story stays focused while also encouraging exploration. There are many things to collect, but it never turns into a grind of finding collectibles for the sake of finding collectibles. Dragon Quest XI is the best traditional JRPG to come along in years, and if that is a genre you enjoy there is no good reason to not get it right away. Best traditional JRPG in years. Art style and animation are top notch. Traditional, but with modern conveniences. Very easy until the end game. Story is slow to develop. Grind, grind and more grind. JAMES is COIN-OP TV’s features writer/contributor who was born and raised in the Washington DC metro area, and returned there after adventuring to New England for college. He spends much of his free time reading comics, talking about comics and blogging about comics, and he even sometimes branches out to talk about comic book movies. 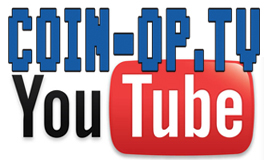 James also hosts podcasts about comic books, video games and other geeky things.